This past week has provided a plethora of Cool Stuff to share! I’ve enjoyed shifting through stories and videos to select my favorites. Thanks to everyone who shared a link to something extra Cool with me this week! Be sure to keep you eyes on the night sky again this week/weekend. The Lyrid Meteor Shower should peak April 22. We’ve seen that the planets have inspired lots of things: research, space travel, videos, etc; here is a movement from an orchestral suite written in the early 1900s that is intended to convey astrological ideas and emotions associated with the planets on the psyche. Another great study involving the usefulness of kelp. This time to detect radiation! 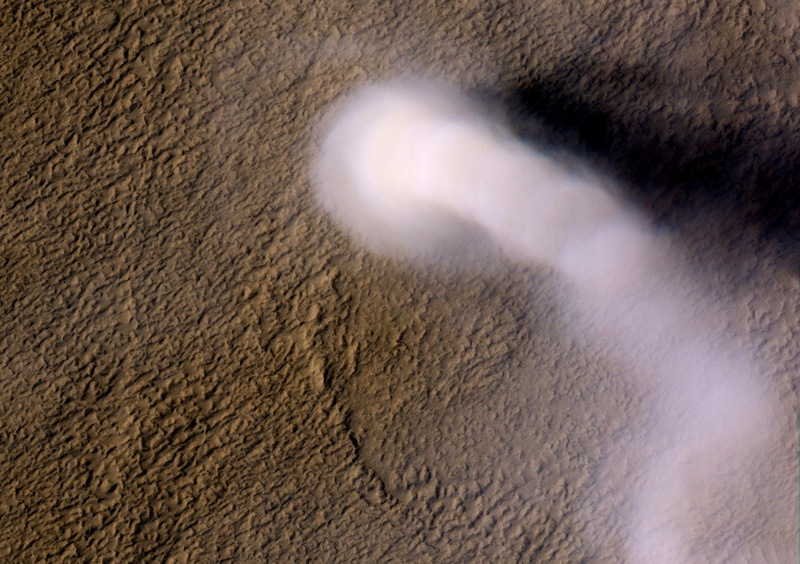 another has been spotted that puts the previous 800 meter tall dust devil to shame. The new sighting was over 20 KM HIGH! Interesting approach to understanding mass extinctions. Amazing discovery finds world’s first photosynthetic vertebrate! An update on Nat Geo’s DEEPSEA CHALLENGE expedition. What was your favorite Cool Stuff from this week? Feel free to share any other amazing articles/videos/photographs/etc that you have enjoyed this week!